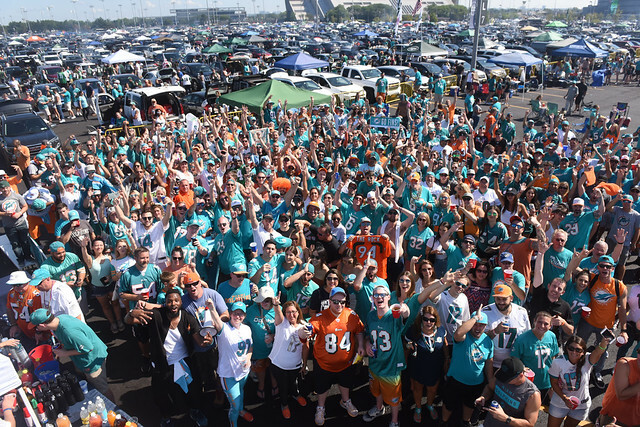 Chart-topping rapper Flo Rida performed at a Dolphins game for the first time in his career. Backstage in a nondescript dressing room, past the players’ locker rooms at the end of a winding, field-level corridor, Flo Rida scans the crowd from behind his diamond-encrusted, orange Gucci sunglasses and motions his two dancers to join him at each side for a post-concert interview. Over the years, the Grammy-award-nominee has performed at countless sports venues, but there’s no doubt that playing a medley of his biggest hits during Sunday’s halftime show in front of his hometown fans, decked in an aqua No. 1 jersey bearing his name, is special. Just three years later, Flo Rida’s breakout, chart-topping single, “Low” – the most-downloaded song of the decade – made him a household name. He’s since become one of the best-selling artists in the world, topping one billion plays on Spotify, with dozens of infectious party anthems. 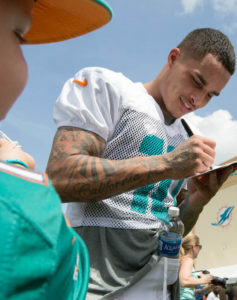 His international success and penchant for penning smash hits have allowed him to celebrate with the Super Bowl-champion Denver Broncos in 2016, as well as kick off the 2017 NFL season at Gillette Stadium, but if there was any doubt his football allegiance still lies with the Dolphins, the 39-year-old quickly puts that to rest. 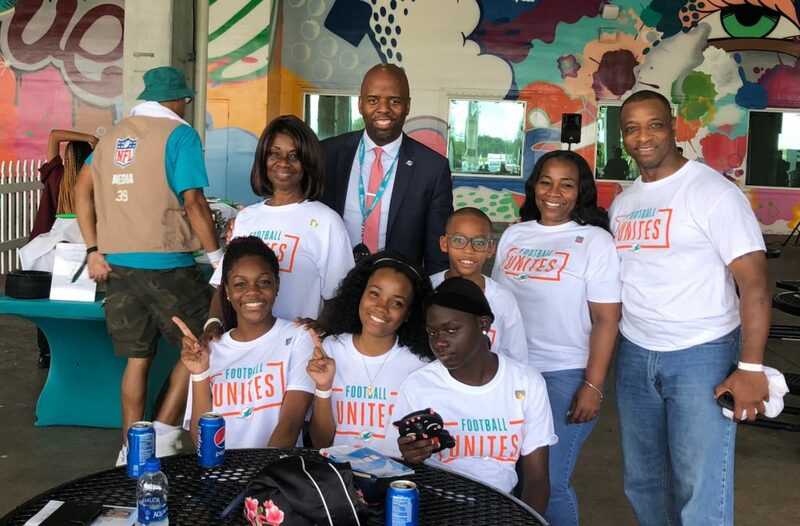 The locally-born-and-raised musician lists off a handful of his childhood favorites with a wide grin – Dan Marino, Mark Duper and Mark Clayton – and has close ties to a Coral Gables High School graduate and University of Miami alumnus currently suiting up for the Dolphins. 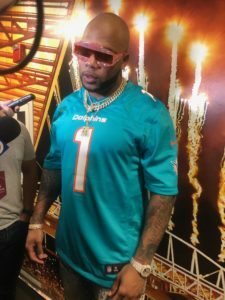 Like all Dolphins fans, Flo Rida has enjoyed the team’s early-season success, and hopes that the next time he returns to the big stage in the Sunshine State, his favorite team will be playing in Super Bowl LIV at Hard Rock Stadium. 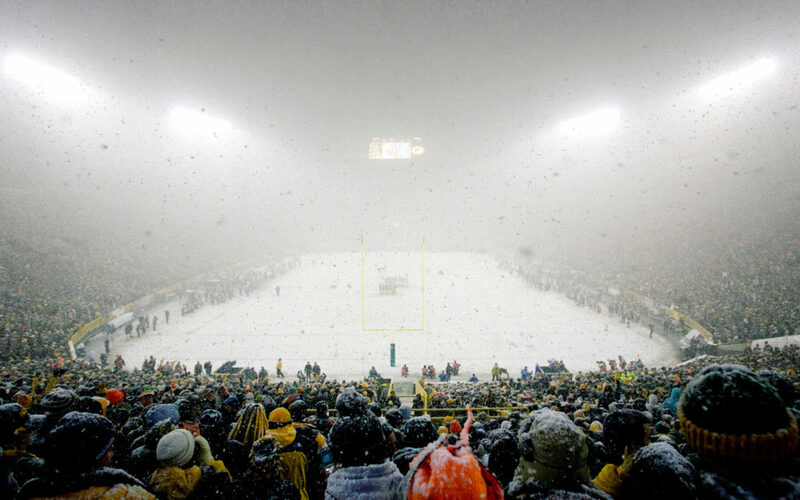 When the Dolphins take the field in East Rutherford, N.J. on Sunday, players know the inter-division tilt won’t feel like a typical road game. 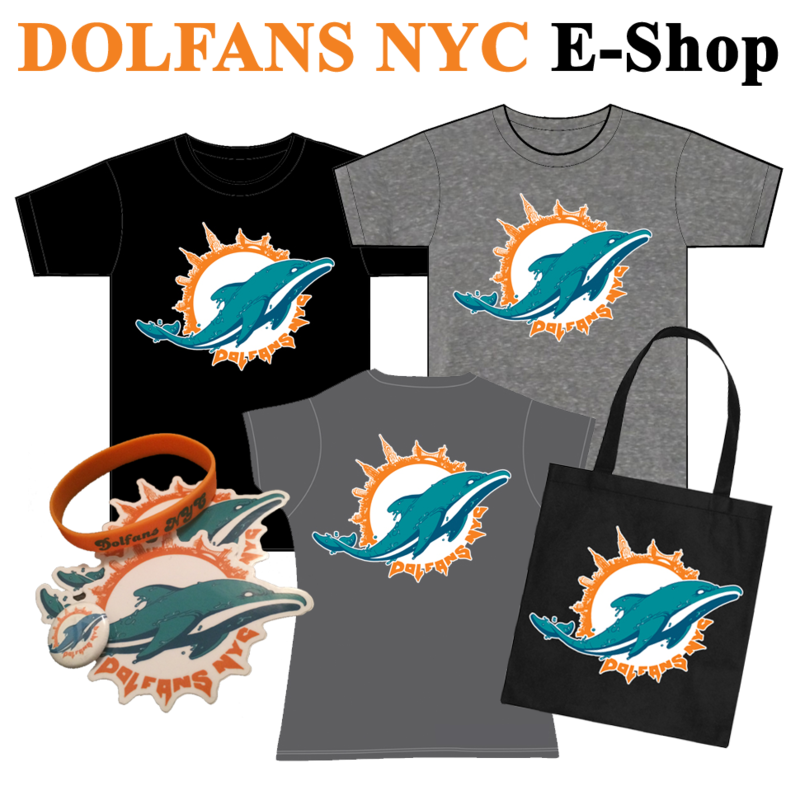 Not with over 1,000 aqua-and-orange-clad fans spread across four sections at MetLife Stadium, whose boisterous chanting and unwavering celebrations have left a lasting impression. 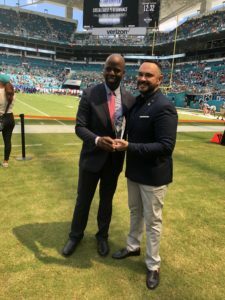 For wide receiver and kick returner Jakeem Grant, the warm reception from one of the most significant contingents of Miami fans he’s witnessed at an away game has inspired him and his teammates. 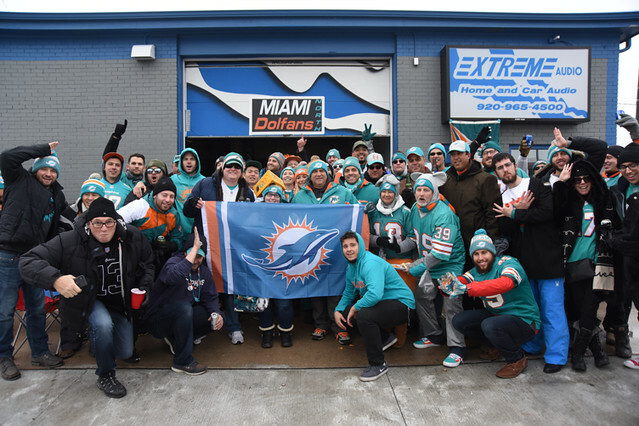 Throughout the eight previous #MetLifeTakeover games – especially the six triumphs – the loudest cheers have come from Dolphins faithful in attendance, who’ve shouted after every first down and belted out the team fight song following each touchdown. 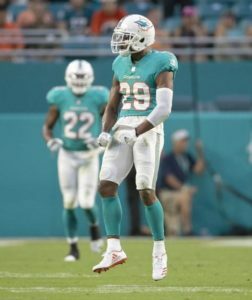 Alonso won’t be disappointed on Sunday afternoon, as Dolphins supporters’ voices will echo through the stadium, rooting for him to come up with a game-changing interception and Stills to beat his defender for a crucial score. 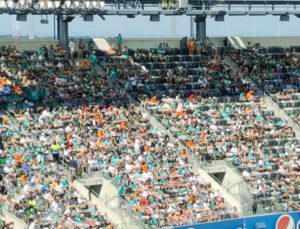 The applause emanating from Sections 344 to 347 is not only audible on telecasts, but travels all the way down to the Dolphins sideline.